In 1989 Sugaoka received an order that horrified him: edit out footage showing cracks in plant steam pipes in video being submitted to regulators. Sugaoka alerted his superiors in the Tokyo Electric Power Co., but nothing happened -- for years. He decided to go public in 2000. Three Tepco executives lost their jobs. The legacy of scandals and cover-ups over Japan's half-century reliance on nuclear power has strained its credibility with the public. That mistrust has been renewed this past week with the crisis at the Fukushima Dai-Ichi plant. No evidence has emerged of officials hiding information in this catastrophe. But the vagueness and scarcity of details offered by the government and Tepco -- and news that seems to grow worse each day -- are fueling public anger and frustration. "We don't know what is true. That makes us worried," said Taku Harada, chief executive of the Tokyo-based Internet startup Orinoco. Harada said his many American friends are being urged to leave the capital while the Japanese government says the area is safe, probably to avoid triggering panic. "We still don't know the long-term effects of radiation," he said. "That's a big question." Worried that over-dependence on imported oil could undermine Japan's humming economy, the government threw its support into nuclear power, and the industry boomed in profile and influence. The country has 54 nuclear plants, which provide 30 percent of the nation's energy needs, is building two more and studying proposals for 12 more plants. Tepco -- the utility that supplies power for Japan's capital and biggest city -- accounted for nearly a third of that market capitalization, though its shares have been battered since the disasters, falling 65 percent over the past week to 759 yen ($9.6) Thursday. Last month, it got a boost from the government, which renewed authorization for Tepco to operate Fukushima's 40-year-old Unit 1 reactor for another 10 years. The United States, Japan's close ally, has also raised questions about the coziness between Japanese regulators and industry and implicitly questioned Tokyo's forthrightness over the Fukushima crisis. The director of the U.S. Nuclear Regulatory Commission and the U.S. ambassador this week issued bleaker assessments about the dangers at the plant than the Japanese government or Tepco. Japan is haunted by memories of past nuclear accidents. In 1999, fuel-reprocessing workers were reported to be using stainless steel buckets to hand-mix uranium in flagrant violation of safety standards at the Tokaimura plant. Two workers later died in what was the deadliest accident in the Japanese industry's history. At least 37 workers were exposed to low doses of radiation at a 1997 fire and explosion at a nuclear reprocessing plant operated in Tokaimura, northeast of Tokyo. The operator, Donen, later acknowledged it had initially suppressed information about the fire. Hundreds of people were exposed to radiation and thousands evacuated in the more serious 1999 Tokaimura accident involving JCO Co. The government assigned the accident a level 4 rating on the International Nuclear Event Scale ranging from 1 to 7, with 7 being most serious. In 2007, a powerful earthquake ripped into Japan's northwest coast, killing at least eight people and causing malfunctions at the Kashiwazaki Kariwa nuclear power plant, including radioactive water spills, burst pipes and fires. Radiation did not leak from the facility. 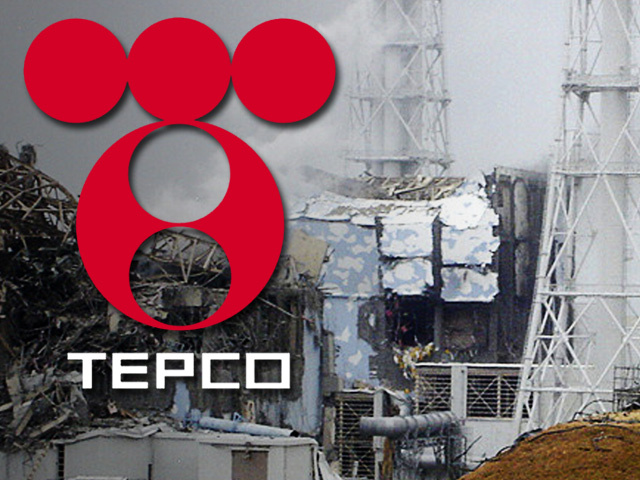 Tepco has safety violations that stretch back decades. In 1978, control rods at one Fukushima reactor dislodged but the accident was not reported because utilities were not required to notify the government of such accidents. In 2006, Tepco reported a negligible amount of radioactive steam seeped from the Fukushima plant -- and blew beyond the compound. Tanaka says that, true to Japan's dismal nuclear power record, officials bungled the latest crisis, failing to set up a special crisis team and appoint credible outside experts. Tokyo Electric Power Co., regulators and the government spokesman have been holding nationally televised news conferences, sometimes several a day, on the latest developments at the Fukushima plant. But the reactors have been volatile, changing by the hour, with multiple explosions, fires and leaks of radiation. The utility, regulators and government spokesmen often send conflicting information, adding to the confusion and the perception they aren't being forthright, Tanaka says. "They are only making people's fears worse," he said. "They need to study at the onset what are the possible scenarios that might happen in about five stages and then figure out what the response should be."